Summer is quickly coming to an end, and thoughts of going back to school are filling the minds of students and parents throughout the Las Vegas area. This is the perfect time to check school calendars, create school supplies shopping lists, and get a jump-start on one of the busiest times of the year. Clark County School District 2017-2018 Schedule begins classes on August 14, 2017. Schools within the district follow one of several tracks during the school year. These tracks determine when students have scheduled days off from school. There are five numerical tracks and a 9-month schedule. The Clark County Independent School District is the 5th largest school district in America. This school district serves all of Las Vegas, Henderson, Boulder City, North Las Vegas, Mesquite, and many census-designated placed within Nevada. The Clark County Independent School District was established in 1956 and enrolls students in grades PreK – 12. The district has 217 elementary schools, 58 middle schools, 47 high schools, 8 special education schools, and 31 alternative schools. They also support a number of magnet schools in the Las Vegas area. It’s the policy of Clark County Independent School District to provide for the basic supplies students may need for school. There are additional supplies that may be needed depending on grade level and teacher expectations. A list of these supplies is available at the beginning of each year or may be available on the school’s website. 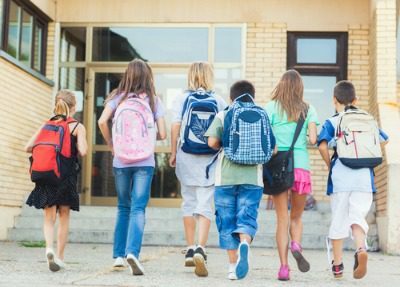 The school district does supply a recommended school supply list that gives suggestions on what students may need during the coming school year. A student’s time at elementary school builds the foundation for the structure of their education. It’s in elementary school that students learn to follow directions, share with friends, and understand the basics in academics. Students learn an amazing amount of information in these 5-6 years in elementary school. Having the proper supplies gives elementary students the opportunity to express their creativity and progress academically. A student’s time in middle school is full of new discoveries about themselves and the world in which they live. This can be a time of uncertainty for some students. That’s why it’s so important for them to be enrolled in a school that is successful in balancing academics, social activities, and overall student well-being. Having the correct supplies is important because it gives the student a sense of confidence that can help them succeed at assignments, projects, and other school activities. The high school years are just as important as the elementary school years. These are the years where preparations for entering the adult world are keys to a student’s success once they graduate. A strong foundation of academics is needed to offer each student the best chance at a successful entrance into the college of their choice. Academics are not the only consideration when it comes to college readiness. A well-rounded student needs a mixture of social, sports, and club activities. Schools within the Clark County Independent School District offer a variety of activities to ensure that each student finds something that interests them. The schools encourage students, parents and teachers to communicate effectively through these years to make sure that the students are getting the most from their academic, social and extracurricular activities. One step on the ladder of success is being prepared for classes, clubs, and sports with the proper supplies. What a high school student needs for supplies will depend on their course of study, extra club pursuits, and participation in any sports. With this in mind, parents may want to pick up basic supplies they feel will be needed and fill in the rest when students are supplied with specific lists. The Clark County School District manages a program called Support-a-School that keeps a list of school supply items that are needed by specific schools within the district. There are currently 89 schools on this list. Consider checking the list and picking up an extra supply or two while you’re doing your own shopping this year. When you’re shopping for school supplies don’t forget to include those new back to school fashions. Many of the schools in the Clark County School District have uniform requirements or expect students to follow a specific dress code. Some schools have dress code expectations but not all schools follow the Standard Student Attire policy. This policy is adopted by individual communities based on votes from parents and decisions made by the school board. If you are uncertain, check with the school to make sure you’re purchasing the correct attire. Schools may choose to have their school mascot or name placed on items to be worn but there are restrictions about the addition of sports or clubs symbols and names. If you have other questions about the Clark County School District, you can reach them by phone at 702-799-5000. Their offices are located at 5100 West Sahara Avenue in Las Vegas, NV. This address is in the 89146 zip code area. This post brought to you courtesy of Ballen Vegas. We are happy to be your neighbors and friends in real estate. We serve Summerlin, Las Vegas, Henderson, and Reno. 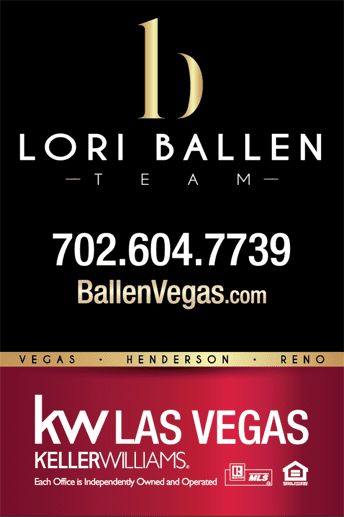 Please remember us for all of your real estate needs, and give us a call at 1-800-805-8354.